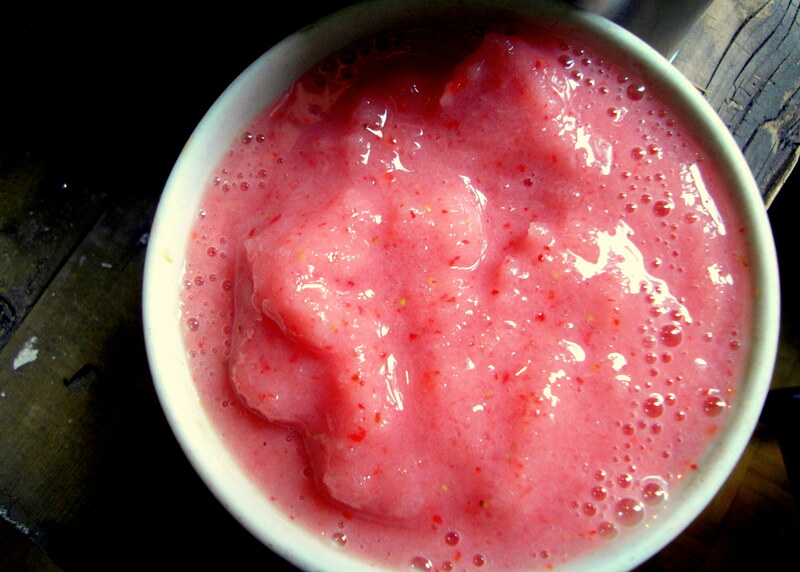 BEST Summer Invention: Blender Sorbet!! I am so hot right now that I think my fingers are actually sweating. Thus I will keep typing to a minimum. When it comes to cool treats I don’t keep much around the house except for frozen berries…but today that just didn’t suffice. I wanted something ice creamy in temperature and deliciousness but also light and fruity. Oh and I wanted this dessert to take literally no time at all. INSTANTANEOUS COLD SWEETNESS. Pulse until smooth and icy. Serve in a small ice cream bowl with a spoon. Repeat as needed. Did I mention this is ready in ONE MINUTE FLAT?? UPDATE: OMG I just added a squeeze of fresh lemon. Vanilla strawberry lemonade sorbet anyone? NOMMM.